In 1932, Jay B. Smith and his wife Marie first established Jay B. Smith Funeral Homes when they purchased the Sarah Sutton Harrison mansion located in Maplewood, Missouri. The mansion was built in 1890. Through the years, although the mansion has been expanded and modernized several times, it's beauty and charm remain. John B. Hardy joined the firm in 1948, working for the Smiths until the death of Jay B. Smith in 1956. Mr. Hardy purchased the firm and Marie Smith continued working until her retirement in 1967. Today, Jay B. Smith Funeral Homes continues to be family owned and operated by John "Jay" Hardy. 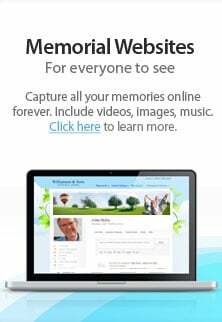 We offer funeral services and funeral pre planning in Webster Groves. With two convenient locations in Maplewood and Fenton, Missouri. Jay Hardy continues the dignified and trusted service that began in 1932, providing hometown values and personalized service, always at an affordable cost.